Here in Connecticut we had Spring for about a week and it went straight to summer. The long nights, warm weather and lighter clothes are the perfect time to bring out some fun and funky accessories. One of my favorite must haves for this summer are the fun, colorful beaded bags of the 60's and 70's. Not only do they serve up some serious color inspiration but they provide the perfect retro flair and statement piece. I rounded up my favorite vintage beaded bags for you! The one I'm rocking here is a retro-inspired charmer from Topshop! I love how it provides enough room for my belongings so it's practical but also whimsical and vibrant in style and color. This colorful beaded bag from the 70's is on Sale! It's $38.40 from Glenna's Vintage Shop. This natural wood beaded bag provides a sophisticated vintage glamour. It's $42.00 from Recap Vintage Studio. 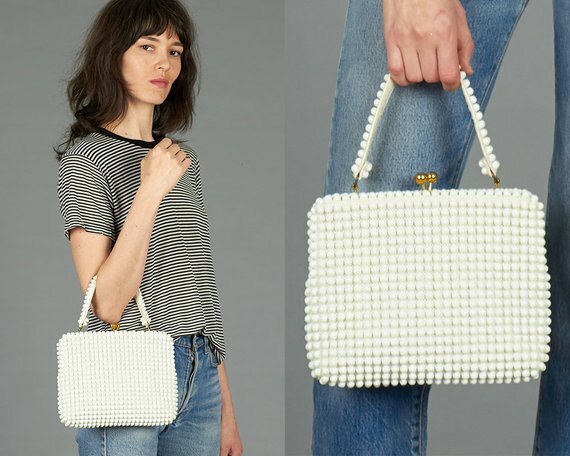 This elegant ivory beaded bag from the 50's is a steal for $15 from Perch Vintage Boutique! This playful bag shaped like a pair of hot red lips is $16.50 from Punks R Us. 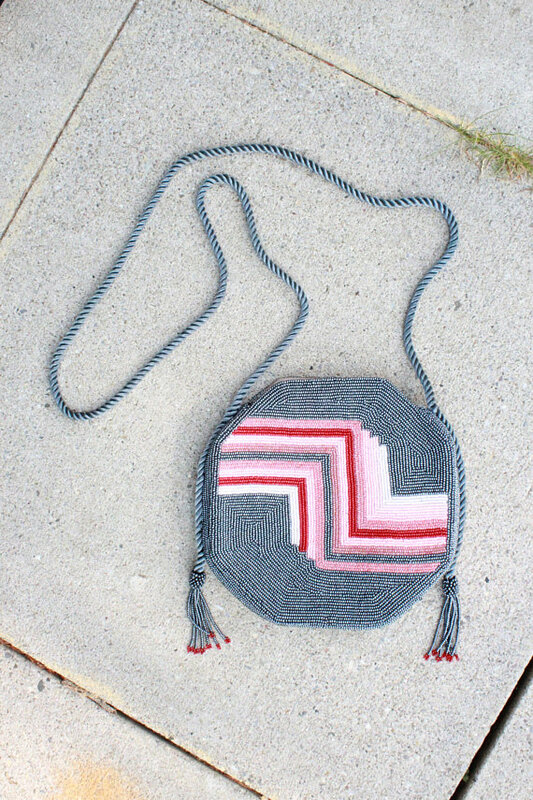 This vintage purse both has colorful beads and fringe straight from the 70s. Perfect bag for 4th of July festivities! It is $16.00 from Case Vintage Shop. This vintage bag is circular and sweet. It's 58.00 from Rawson Chicago. Channel your Megan Draper vibes with this darling '60s beaded bags. This Mad Men style purse is $23.70 from Popcorn Vintage by Trann.